Summer is here and that means you're probably taking taking more photos of your family. Between beach trips and BBQs, photographs are a great way to capture these summer memories. 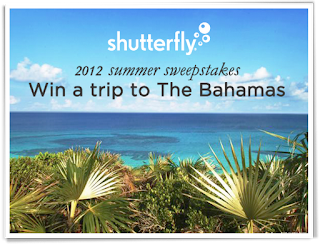 Shutterfly’s Long Live Summer Photo Contest on Facebook has launched! 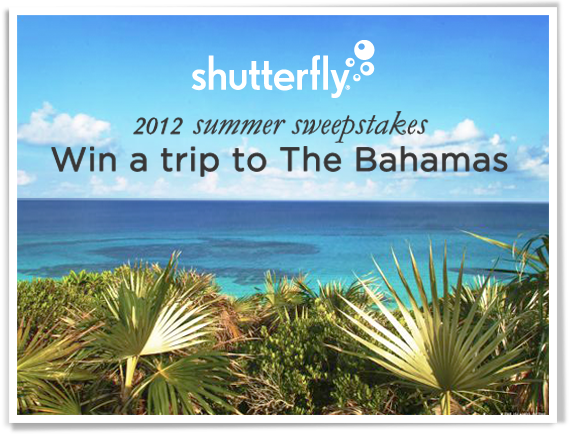 Win a trip for four to The Bahamas and a professional photo shoot so you’ll remember your vacation forever. All you need to do is upload your favorite photo and caption based on the theme of the week. Get a gift from Shutterfly just for entering! You can enter at any point during the 5-week sweepstakes period. Go here to upload your pics!